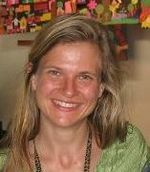 Kristin Jackson was installed as Living Water’s Equipping Pastor in September, 2011. Kristin has lived in Rogers Park since 1994, and has been a member of Living Water since it began. She loves this neighborhood and feels called to participate in God’s good news of reconciliation here. Kristin earned an M.Div from North Park Theological Seminary and an M.Ed from Loyola University, and she worked for many years as a teacher before becoming a pastor. Kristin and her husband, Julian, have two school aged sons, Liam and Elijah. Stephen Lamb was hired as the associate pastor of Youth Ministry in October of 2012. Stephen lived in Rogers Park for a year before taking on this position, and he attended Living Water during that time. During Stephen’s year in Rogers park he volunteered with Living Water’s Youth Ministry. Stephen is married to Kathryn Lamb and dad to Hazel and Rowan. Samrach Nuth is an ordained pastor in the Mennonite Church USA and has provided important pastoral leadership for the Cambodian Christian community of North Chicago for several years. Samrach leads a worship service in Khmer every Sunday morning at Living Water’s Meeting House. 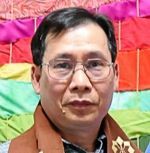 Olak Sunuwar serves as pastor to the Bhutanese/Nepalese congregation and in the Rogers Park Chicago area through evangelism, Bible studies offered in English and Nepalese, home visitations and invitations, and offering access to community and social services. Olak is married to Mouna. Alexis Ruzahaza serves as pastor to the East African congregation. Alexis is married to Francine and dad to Naomi and Jonathan. Susan Kauffman is LWCC’s Bookkeeper (and former Office Manager). She is a graduate of Bluffton College in Ohio and has served three terms in Cambodia with Mennonite Central Committee. She came to Chicago originally in 1981 for a two-year term with Mennonite Voluntary Service, teaching Human Body and Math at an alternative high school. Susie is a confirmed Worm Wrangler and is still trying to figure out how to use her M. S. in Soil Science in Chicago. On the side she samples soil for testing and weaves rag rugs. Autumn Williams became Office Manager in 2015. Autumn holds a Master’s Degree in Urban Planning and her strong passion for urban families has led her to open a catering company and a cleaning and maintenance company in an effort to provide training and employment. Autumn is the wife of Tim, mom of 7 and grandma to 2.